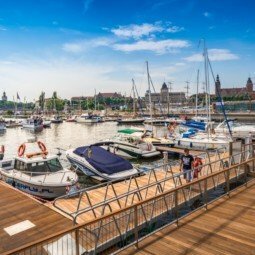 North East Marina Szczecin is located in a very center of the city on two islets: Łasztownia and Grodzka Isle, from which there is a picturesque view on Chrobry Banks. 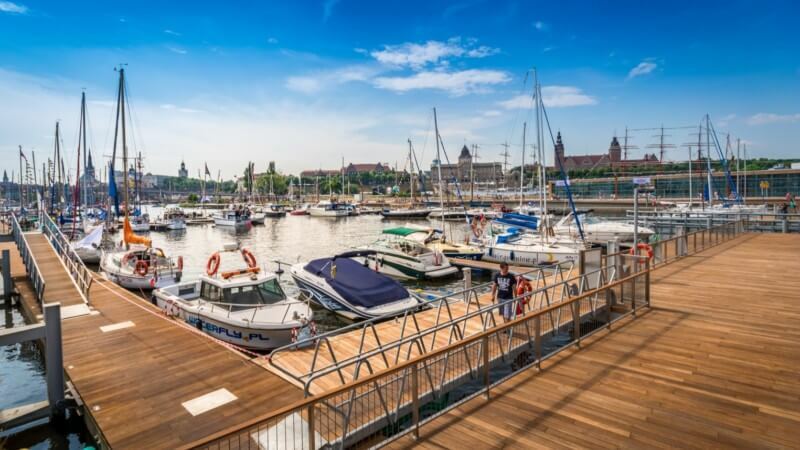 The yacht port that was opened in 2015 is modern, functional, and also refers to maritime traditions of Szczecin City. There are 49 residential places for marina guests and 25 places for visiting yachts. 5,00 PLN per running meter.